The Harry Potter films are one of the most successful film series ever, up there with James Bond, Star Trek and Star Wars. There are eight Harry Potter films in total released between 2001 and 2011, all based on the books by author J.K. Rowling. Just like James Bond and Star Trek this means that many hours worth of music has been composed for the series (even more if you include the Harry Potter video games). It is interesting to see how the music has evolved to fit the overall story arc, developing as the series has got darker, and matching the growth of the actors and audience alike who were all 10 years older by the time the series completed. The main challenge for any film series is to make them belong to the same family, yet still allow for change and growth. Equally with the music you want the films have their own identity yet we expect some cohesion between them. 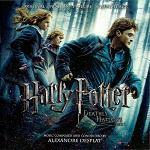 With Harry Potter's music, change came naturally with 4 different composers. The series had the potential to use a leitmotif approach in its music, with themes for different characters or concepts, like the "Star Wars" and "Lord of the Rings" films. It did this to a small extent but it would have been difficult across all 8 films with so many different composers. 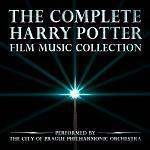 However each composer repeated themes across the films they scored, and there was some quoting of thematic material, most particularly Hedwig's Theme by John Williams which became the overall Harry Potter theme. Furthermore all the scores are played by the London Symphony Orchestra with Conrad Pope orchestrating on 5 of the 8 films, and with the London Voices on choral sections. Yet further consistency arises from the repetition of similar scenes. So where the Bond series always has car chases, exotic locations, suspense, fights and super-villains, the Harry Potter series has recurring scenes of comedy with Harry's step-parents, a longing to know his real parents, school life at Hogwarts, magical journeys, Voldemort and his dark disciples, and Harry's new friends and loyal supporters. All these factors helped to shape a degree of consistency across the music of those 8 films, but we will return to this question later. First let us examine the music of the individual films. As an addendum to this introduction to the musical world of Harry Potter, even though they no longer feature the character of "Harry Potter" himself, we still have further films that are set within the same Harry Potter Universe in the form of a prequel series. 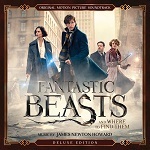 These additional films have focussed on the adventures of a new wizard called "Newt Scamander" and so far they have had the phrase "Fantastic Beasts" in their title, with the first being "Fantastic Beasts and Where to Find Them" and the second being "Fantastic Beasts: The Crimes of Grindelwald". Both of these were scored by the composer James Newton Howard, and bear a musical resemblance to the original series. That musical resemblance comes both from referencing "Hedwig's Theme" by John Williams, but also from aspects of the orchestral style used to depict this new magical world. However being set in 1920s New York the music has had the opportunity to explore early jazz. When launching a major fantasy series of family movies to tie-in with a hugely successful series of books, who better to turn to for the music than composer John Williams. With directors Steven Spielberg and George Lucas he clearly has all the necessary credentials (and series like Star Wars and Indiana Jones) and he got the series off to an excellent start. John Williams established many themes in Harry Potter and the Philosopher's Stone (called the "Sorcerer's Stone" in the US), and he also established the magical soundworld with an emphasis on harps and celeste. The film was light family fare with touches of comedy but full of fun. Primary among the main themes was "Hedwig's Theme". Hedwig is Harry's owl, but the theme is associated with anything Harry Potter. The film is Harry's introduction to the world of magic. He is aware he has some special powers, he doesn't know any other wizards and nothing at all about the world of magic. Everything is new and surprising to Harry, so much of the mood of the first film comes from his complete amazement to find this new world, to meet new friends, and to find an extended family to which he belongs. The music emphasises all of this sheer enjoyment and amazement of finding this strange new world of magic. Although the stories are set in the present day, many aspect of the magical world seem to hark back to earlier times: Hogwart's School and the style of teaching, the steam train, etc. So for the olde worlde Diagon Alley theme, Williams used some modal music. If John Williams was to continue as composer for the whole series, then you could imagine him using an ongoing thematic approach adapting his original material as the series progressed. When it came to the 2nd Harry Potter film "Chamber of Secrets", Chris Columbus stayed on as director but John Williams had a conflict with Steven Spielberg's "Catch Me If You Can". Williams is credited as Composer and William Ross, also an experienced composer and orchestrator, is credited with Score Adaptation. 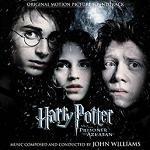 Listening to the soundtrack, there are several new themes so our guess is that John Williams had sufficient time to write some new material but not to finish it, so Ross stepped in and completed the score by adapting the material that Williams had already written for the first and second films. Ross did an admirable job with the adaptation melding the music around the plot of the new film and almost certainly making tweaks as the film was being edited. Since the film series is still in its early stages, it is good to repeat themes from the first film to establish the musical identity, while introducing sufficient new material (for Dobbie and Myrtle and the Flying Car) to keep things interesting. The overall impression is that the Chamber of Secrets score works, though it is not the most memorable of the series. Though no doubt the movie was great fun for the young target audience, both the film and the music seem very similar in tone to the first film. For the third film John Williams was most definitely available. He used some of his existing melodic ideas but there is a wealth of new material with many scenes being scored from scratch, reflecting the story having many new ideas and new characters, plus some dark material for the ghostly Dementors. There is a credit to Simon Etchell for stock music, though it is not clear how much stock music was used in total. Musically the film fits well with the established tone, yet it feels like a completely self-contained score (and film) and a natural progression from the earlier movies. All in all this is a great score to listen to, and the track for the end titles alone is a magnificent tour de force from Williams with a myriad of different ideas seemingly spanning from the renaissance period right through to 20th century jazz and including a reprise of the "Double Trouble" choral section heard earlier in the film. 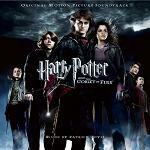 "Goblet of Fire" is the first film to have a completely new composer, with Patrick Doyle taking over from John Williams and bringing in his own team of orchestrators. Although Doyle's approach is noticeably different, he pitches the music at very much the same level so the change is a smooth one. Hedwig's Theme provides a degree of continuity, and there is an injection of some pop songs by Jarvis Cocker for the ball scenes. 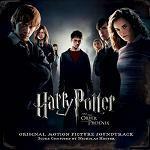 After John Williams' stupendous score for the 3rd movie in the series, Patrick Doyle's score for Harry Potter and the Goblet of Fire seems a little lacklustre in comparison but this isn't necessarily down to the composer. The story is more episodic, with source music needed for the dance scenes and for the various stages of the contest. The film's song material is OK but it doesn't flow in a convincing way with the rest of the film. The climax of the film is a major turning point for the story arc, since Voldemort returns in full and one of the good characters dies. As a result the conclusion of the film is decidedly downbeat so Doyle aims for a stoic mood, with restrained heroism and a guarded warmth. This is followed by a reprise of his waltz music heard earlier at the dance, and Jarvis Cocker returns for a final song. 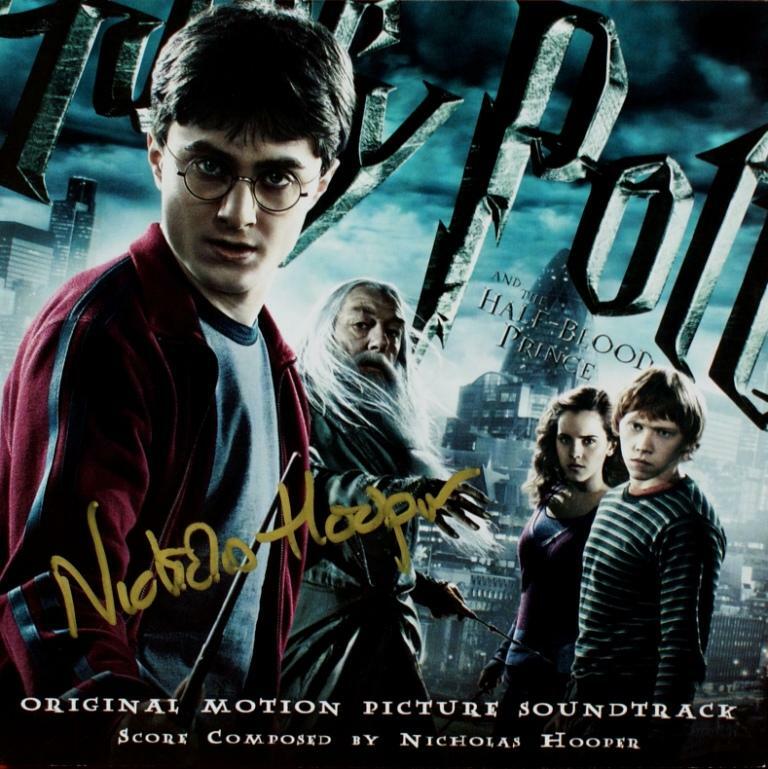 While the first 4 films had established film composers, the 5th film was scored by newcomer Nicholas Hooper. Although Hooper had previously scored a few feature films, he was known mainly as a composer for television shows and documentaries. However he got the composer job due to his relationship with incoming director David Yates, with whom he had worked on several television projects. Like Doyle before him, Hooper uses Hedwig's theme and introduces some interesting thematic material of his own which is in keeping with the series so far. Professor Umbridge from the ministry has a nice comical theme, there is all the goings on at Hogwarths under her regime. The Weasley's have a nice fireworks & broomsticks theme, and the plot is driven by Harry Potter's underground magic classes and his first Romantic kiss. Nicholas Hooper does a credible job with the film score, and his suspense moments are suitably edge-of-the-seat. His themes are of course reprised in the end titles - not quite woven together in the way of a John Williams score, but perfectly serviceable. 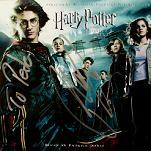 David Yates and Nicholas Hooper returns again for the sixth film, giving continuity in these roles. As before the main (Hedwig's) theme is used only briefly during the film's opening. Hooper re-uses some of the themes he introduced in "Order of the Phoenix" such as the Weasley's Irish theme, expanding and adapting these existing ideas. The composer also introduces new music associated with the character of Dumbledore, along with some choral material, and he seems to quote the song "Comin' Through the Rye" when Hagrid's spider dies. However in the "Half-Blood Prince" he seems to take a small step away from a melodic approach towards a more atmospheric method of scoring. Those atmospheres are suitably moody and work perfectly in the film for the teenage romance scenes, Harry's possession by Voldemort and particularly for the sequences with the Death Eaters. 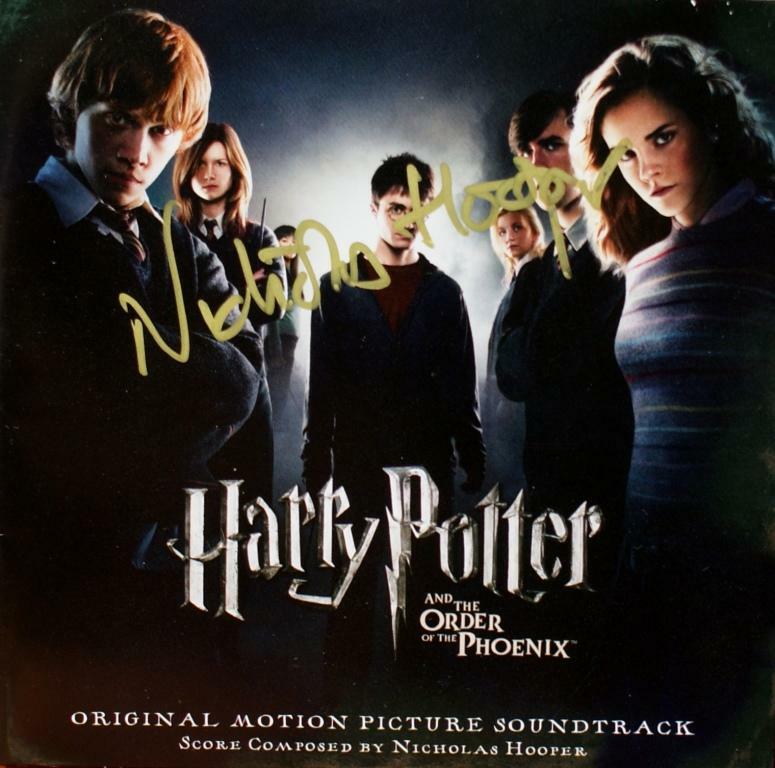 Of the two Nicholas Hooper filmscores we have a slight preference for "Order of the Phoenix" but both seem perfectly suited to the world of Harry Potter. The Harry Potter books got steadily bigger and bigger with the "Deathly Hallows" book being 608 pages rather than 224 pages for the first book. Although there was no doubt a profit motive too, it seemed only right to split this book into 2 films so that the series could go out with a bang. 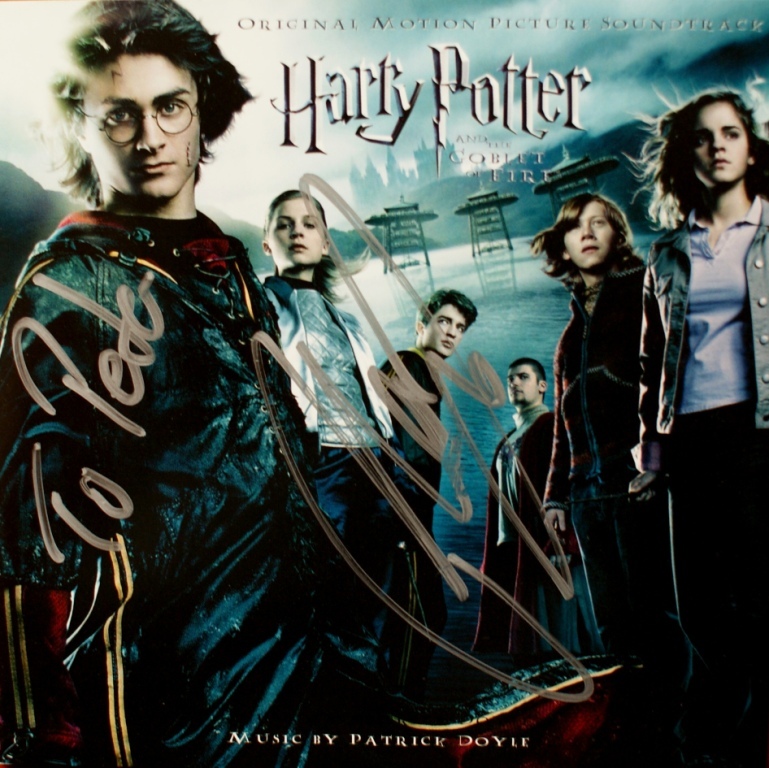 Although David Yates stayed on as director (directing the last 4 films in the series), for whatever reason a new composer was sought for the final 2-part story. 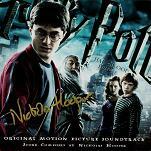 A number of composers were mentioned as condidates for Harry Potter's final 2 outings, and the choice of Alexandre Desplat surprised some people. Desplat had scored many high-profile movies during the previous decade and more, but he was known mainly for his light and sometimes quirky scores generally played by a small number of instruments, rather than the full orchestral approach previous taken in the Harry Potter series. Desplat rose easily to the challenge and musically the series did go out with a bang, Conrad Pope also returning as orchestrator. Though Hedwig's theme remained, the musical tone was big and bold but suitably dark for the climax of the series. Desplat's Harry Potter style was sometimes quiet and subdued in Deathly Hallows Part 1, frequently content to remain in the background, yet rising to take centre stage when the situation demanded. Perhaps there is a conscious desire to keep things low and dark in preparation for the final installment. Although there are melodic lines weaving in and out of Desplat's Potter music and some recurring motifs or figures, Desplat largely avoided anything that could be thought of as a hummable melody. At this point in the series, all the innocence of the first films has been totally lost and things are decidedly darker in tone with Voldemort growing stronger and bolder, building a powerful army of followers and attacking wizards and muggles alike in his quest to find Harry and his friends. With numerous deaths and a feeling of pessimism, it is right that Part 1 should be low-key and depressed. There is little relief from the darkness, with none of the fun and comedic scenes of the previous films. Though the film is deeply emotional, the range of emotions is much narrower. The final film continues the style of the 7th film, given that the 7th and 8th films together tell the story of the final book. Again Desplat's music largely avoids any overt focus on extended thematic ideas, though some minimalist motifs give the film a sense of unity. There is a solo vocal sung by Mai Fujisawa with a mystical quality, as though Harry & Voldemort are inextricably connected and destined to meet in a final confrontation. On the whole the music is more prominent in the 8th film than in the previous one, and the whole thing is very big and emotional as befits the climax of the series. Hedwig's theme (or at least its first few notes) are quoted several times as a reminder of the overall narrative. Things are wrapped up very nicely too by reusing Hooper's cue for Dumbledore's Farewell, and the whole series comes full circle in terms of the plot and the music. The final "19 Years Later" sequence revists John Williams' music from the first films, and the End Titles also kick off fittingly with Williams' music making for a satisfactory conclusion to the musical odyssey. 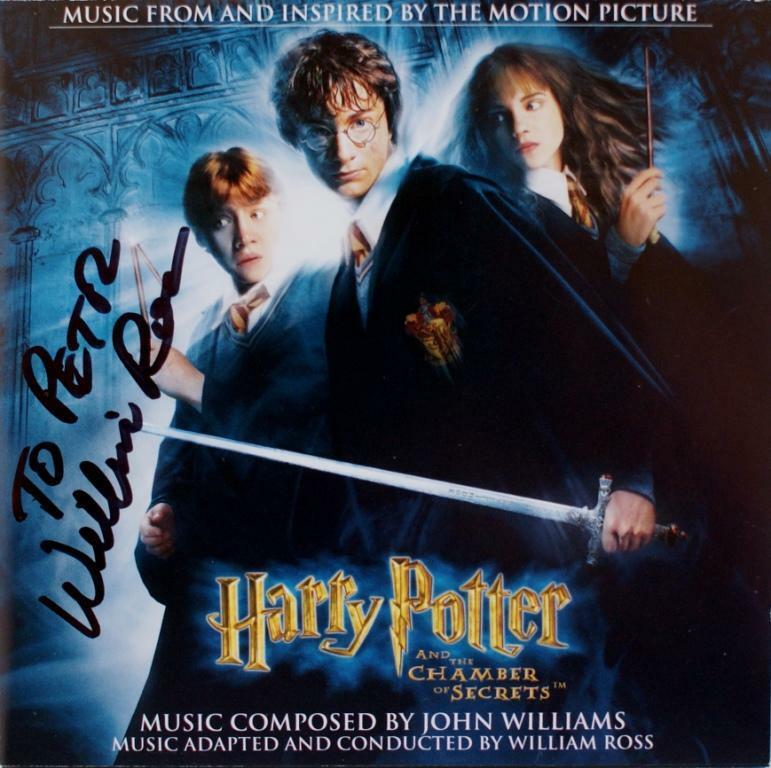 It is a shame though that neither of these John Williams elements are included on the soundtrack album, although it is understandable that the filmmakers would want to keep the album to a single composer and on a single CD. With four composers and 1 arranger all with very different styles, it would be impossible to create a set of cohesive soundtracks. And we should recognise that the overall story for the books is a long, complex and changing arc, featuring various episodes and tangents. Likewise the script writers have been challenged to adapt the books into film-sized chunks and the different directors have had differences in approach and style. It is not too surprising that the complete set of soundtracks does not form a totally cohesive whole. Yet despite this, there are areas of consistency across the film scores - the reuse of Hedwig's Theme and other thematic references across the films, reuse of personnel (orchestrators and the LSO) and technical factors (the recording studio). So not a single cohesive whole but nevertheless following a progressive and logical progressive arc, with the conclusion to the 8th film certainly giving the impression of unity. In a sense the Harry Potter music grows up in parallel with Harry and his audience. The music becomes "more current" as the series progresses (i.e. evolving into a style more prevalent today) as distinct from "more modern" since John Williams' music is arguably more modern musically (i.e. more complex harmonically and orchestrally). Nevertheless like the films themselves, the complete set of 8 soundtracks provides a perfectly satisfying listening experience and one that rewards repeated listening. 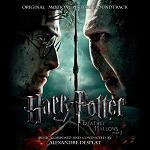 Here are links to the soundtrack albums of the individual films, plus some notable collections of Harry Potter film music. 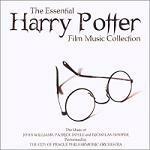 Here are links to the piano sheet music books of the individual films, plus again some notable individual pieces and collections of Harry Potter sheet music. The last item above is described as "36 piano solo pieces from Harry Potter and the Sorcerer's Stone up to Harry Potter and the Deathly Hallows Part 2, and including 'Leaving Hogwarts' from Harry Potter and the Sorcerer's Stone by popular demand". 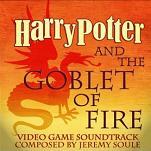 Here are some miscellaneous items related to the world of Harry Potter and Harry Potter music. 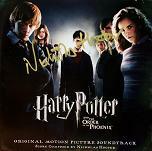 Here are some Harry Potter soundtrack CDs, signed by the composers or arrangers. Our thanks to Petr Kocanda for permission to use his collection of autographed CDs. Click any thumbnail below to see the image full size in a separate window.